​Kawhi Leonard is making his ​return to San Antonio tonight as the Spurs host the Raptors in a Thursday night matchup at AT&T Center. This will mark the first time Leonard is back in San Antonio since his ​departure from the organization this offseason. Leonard left the ​Spurs on bad terms after appearing in just nine games in the 2017-18 season, and he's not expected to be received warmly by the fans in San Antonio. One fan has a custom jersey that he's bringing to the game, and while petty, it's pretty funny. 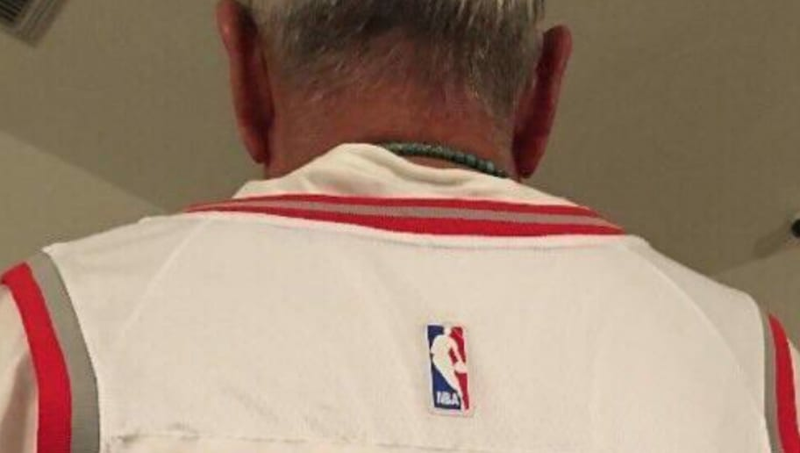 ​​The custom jersey reads "Kawitter" on the back, a sentiment to the consensus opinion of Spurs fans that Kawhi Leonard gave up on the team after sitting out most of last season with a highly questionable injury to his quad. Not a lot of information regarding the injury was made available as Leonard and his camp sought different opinions from doctors outside of the Spurs organization. This is a highly anticipated return as Leonard rose to prominence under Gregg Popovich and the Spurs. Leonard was traded this offseason alongside Danny Green in a deal for DeMar DeRozan, Jakob Poeltl and a protected 2019 first round pick.